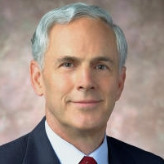 A retired utilities executive, John E. Bryson was considered a low-profile choice as President Barack Obama’s next secretary of commerce. But that doesn’t mean there wasn’t room for controversy when Obama named Bryson on May 31, 2011. For starters, Bryson was seen as too liberal because of his longstanding support for the environment. If that wasn’t enough to alarm Republicans in the Senate, there was the ongoing dispute the GOP has had with the administration over free-trade agreements with South Korea, Panama and Colombia. Though the issue had nothing to do with Bryson, key Republicans threatened to hold up his confirmation hearings until Obama made concessions on the trade agreements. Bryson was finally confirmed by the Senate on October 20. After suffering a “partial seizure” while driving in Southern California, Bryson resigned on June 20, 2012. Born on July 24, 1943, Bryson graduated from Cleveland High School in Portland, Oregon, in 1961. He received his bachelor’s degree from Stanford University in 1965 and his Juris Doctor degree from Yale Law School in 1969. Fresh out of law school, Bryson helped found the Natural Resources Defense Council in 1970. He served as legal counsel for the fledgling group that eventually grew into a prominent player in the environmental movement. By the mid-1970s, Bryson moved into California state government, serving as an adviser to Governor Jerry Brown, chairman of the California State Water Resources Control Board (1976-1979) and president of the California Public Utilities Commission (1980-1982). The bulk of his career, though, was with Edison International. He served as chief executive of Southern California Edison from 1984-1990 and led its parent (Edison International) from 1990 until his retirement on July 31, 2008. Consumer advocates criticized his annual compensation in the wake of the California electricity crisis of 2000-2001, and complained about his retirement package, which included a pension plan and stock options valued at almost $65 million at the time. After retiring from Edison, Bryson became a senior adviser to the private-equity giant Kohlberg Kravis & Roberts. When Obama began working on filling out his cabinet, Bryson was rumored as a candidate for the energy secretary job. Bryson has served as a director of Boeing, Disney and the W. M. Keck Foundation. He also was a director/trustee for three western asset management funds at Legg Mason. In addition, he has been on a number of educational, environmental and other nonprofit boards, including chairman of the California Business Roundtable, a trustee of Stanford University, a trustee of the California Institute of Technology, co-chairman of the Pacific Council on International Policy and chairman of the Public Policy Institute of California. Bryson has been chairman of the board at BrightSource Energy, Inc., a developer of large-scale solar thermal power systems, since September 2010. Bryson has contributed more than $70,000 to campaigns since 1990, with most of his money going to Democrats, including $2,400 to Senator Dianne Feinstein of California in 2009 and $1,000 to President Bill Clinton’s 1996 reelection campaign. He has given to several Republicans over the years, including President George H. W. Bush’s reelection campaign in 1992 and former California Governor Pete Wilson’s presidential bid in 1995.